The goal of a squeeze pages is to get the visitor to fill out an opt-in form, generating a lead or conversion. Highly effective squeeze pages are short and simple. What makes a great squeeze page? Your squeeze page and the inbound marketing tactic or tactics need a compelling offer or lead magnet. “Learn more” about a product or service is not a persuasive offer. Business-to-business companies may offer relevant educational information, or a tool. An offer may be a technical white paper or webinar. The less sales oriented the offer, the better the results will be. A survey by the Nielsen Norman Group, found that 92% of respondents reacted negatively to online ads that didn’t get to the point. The headline on your squeeze page should be attention grabbing, strong and direct. 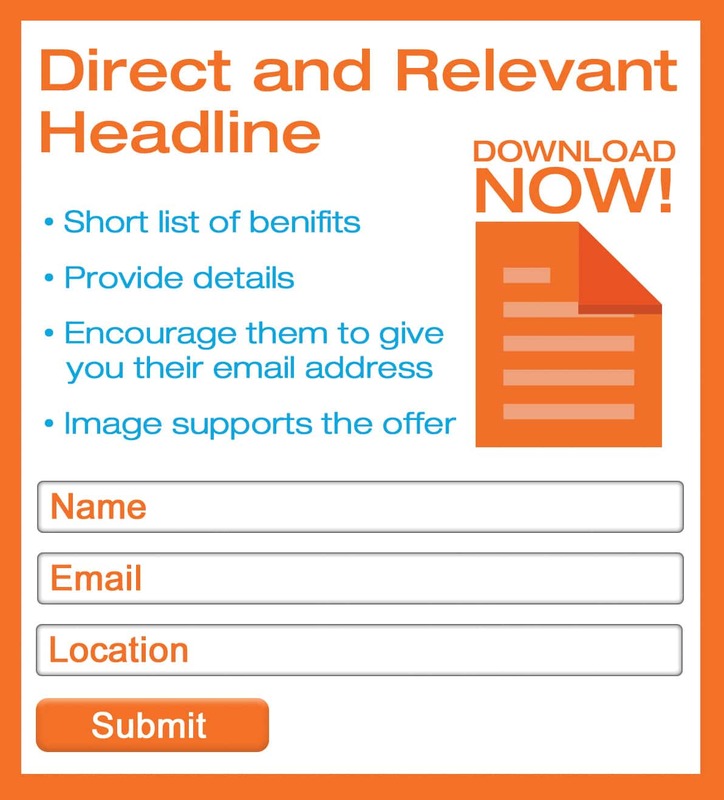 Once you’ve captured the visitor’s attention with a vigorous headline, enumerate a concise list of benefits. This provides visitors with additional details to encourage them to give you their email address. Include an image on the squeeze page that is relevant to the offer. It should visually communicate the message without being complicated. It would be ideal to only ask for an email address. However, that is often not practical. Keep the form fields as compact as possible. You may need to determine a prospect’s location to assign the lead to the appropriate representative or distributor. If you sell in Europe, you may need an explicit, yes or no, opt-in link for GDPR (General Data Protection Regulation) compliance. For assistance in creating compelling inbound marketing, offers and squeeze pages, contact Veritas Marketing at info@veritasmarketing.com or call +1 952.738.8177.